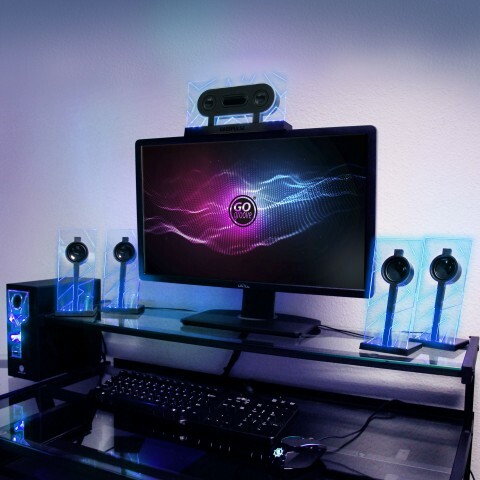 Your computer is your gaming center, movie theatre and personal concert hall. 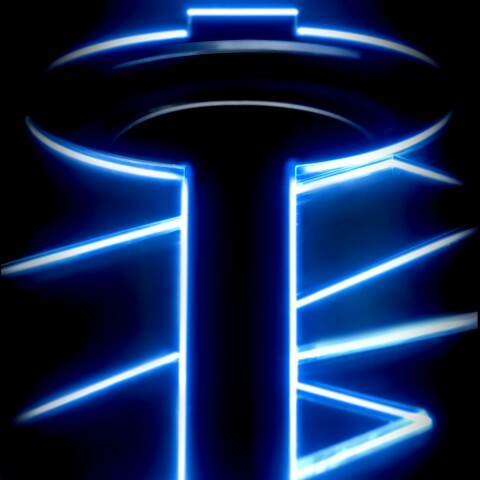 Unfortunately they leave much to be desired when it comes to a full sound experience. 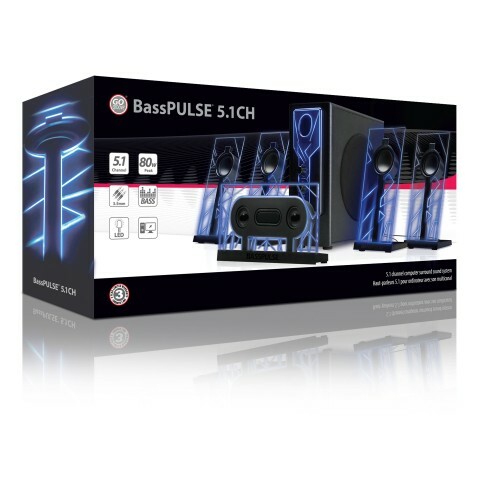 With the GOgroove BassPULSE 5.1 Computer Surround Sound Speakers, your music, movies and entertainment come to life with dynamic highs, warm mid-tones and a deep, powerful bass that leave you immersed in a 360 degree listening experience you won’t forget! 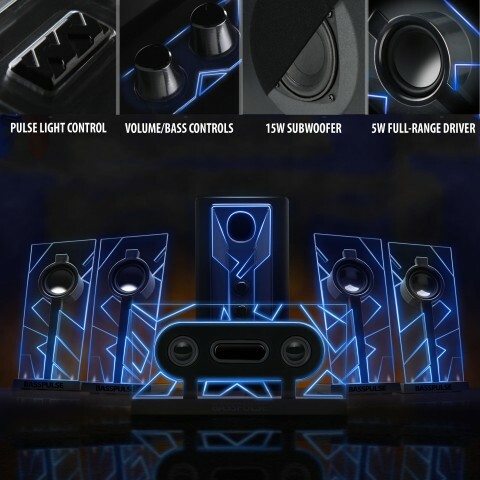 They are equipped with 4 neodymium full-range satellite speakers, each with 5-watts of power, as well as a center speaker and the side-firing 15-watt subwoofer. 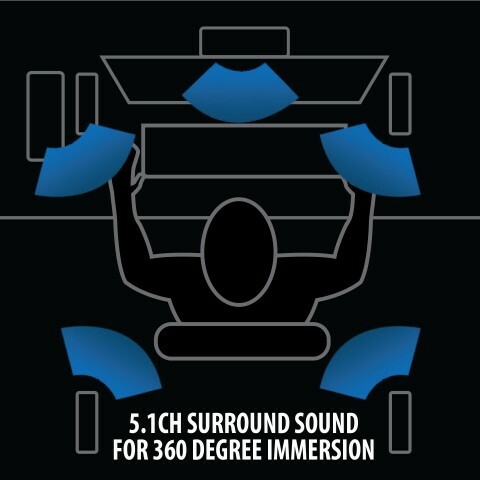 The subwoofer even comes with its own equalizer so you control how much bass you want. 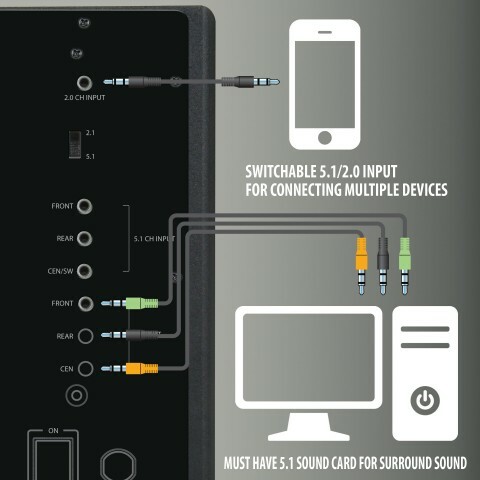 This speaker sound system plays audio from PC computers with an internal or external 5.1 audio card. 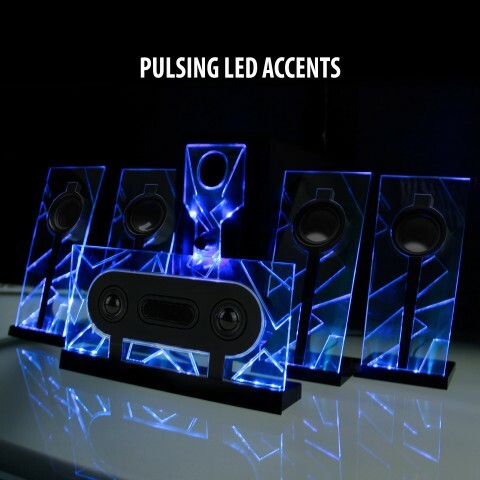 The speakers can also stream audio from 2.0 connections to phones tablets and more multimedia devices. 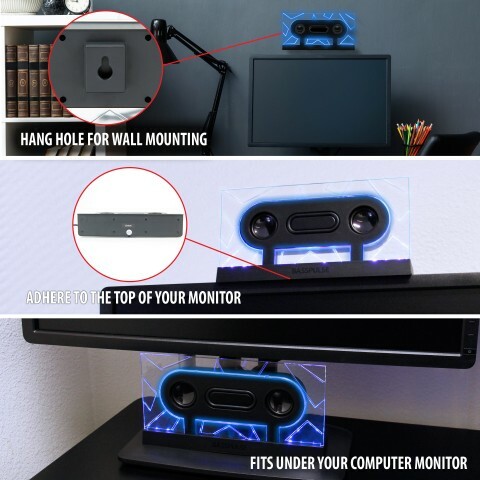 Included in the set, is a power cord that can be plugged into any AC wall outlet. 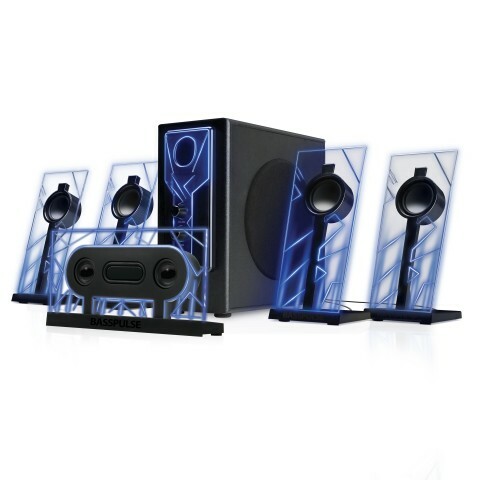 Connect your favorite device or PC and enjoy room-filling sound that leaves you blown away.